It's a little known fact that in times of old 'Dragons' were used as a visual representation of 'the devil', and were supposed to warn off evil spirits attacking their owner's domain. Furthermore, they also represent the star of this film too! 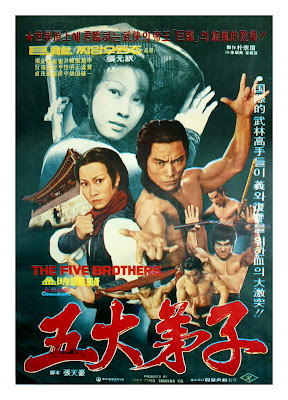 One Directed by Godfrey Ho, and Starring Dragon Lee and Carter Wong. It was made in 1981, and lasts for about 88 minutes. Four nights ago, old Master Wong goes to visit old Master Lee, just so he can have an artefact he pilfered from a nearby cemetery evaluated. When suddenly, out of the blue -- Hai-Ya! -- they're both quickly attacked by a masked saboteur dressed in red. Leaving Wong dead -- Lee missing -- and Wong's family, blaming Lee's family, for the tragic demise of their dearly departed sibling. Yeah. Straight up, folks! As that's what Master Quai (Carter Wong) tells Lee's son, Lai (Dragon Lee), when he goes to see him once he's finished a busy training schedule with some chap that look's like Father Christmas. Well, I suppose he's got to try and figure out why the Wong's were beating up on his kin, doesn't he? Especially when they constantly keep on kicking, punching, and generally being nasty to whoever crosses their path. But they don't have to worry anymore, folks. No way Jose! Lai is on the scene now, and he's the type of martial artist that would beat the living sh*t out of anyone who pisses him off, whilst looking for his missing father. Then again, that's most probably why what next transpires all goes to Wok when it is unveiled that Master Quai isn't telling the whole story. As one family takes a nose dive - the other one barely makes it out alive - and no matter what you say, plus no matter what you do, this flick doesn't really end with a big high-five. Now if I had to mark 'Rage of the Dragon' out of ten, I would most probably give it a score of five and a half. Well, it's not a bad-bad film really. It has some really nice bits to it if truth be told. Yet, like most of these movies made during this era, it is hindered in the execution and the plot. Here. Please allow me to tell you what I mean by this in bullet-point form. (1) In essence this film is a 'who done it', yet perverted slightly, to incorporate two warring families, who are both controlled by a mischievous third party. Now to me, personally, I kind of enjoy this type of setup myself. As it adds a very suspenseful and intriguing angle to the overall tale, which can be very enveloping and engrossing to fathom out. (2) One of the major drawbacks of this movie was how none of the relationships in it were clearly defined. Honestly. Each of the actors kept on mumbling about fathers, brothers, and uncles for most of the time, without actually emphasising a first name or a last name to denote who they were referring to. Also, I noticed on occasion that certain character names were changed as the film went on. One minute Dragon Lee's character was called Lee. The next minute he was called Lung. And here and there he was called Lai. Granted, over half way through this flick things did seem to settle down a bit. But by this time I wasn't even sure who I was myself, Ha! (3) The dubbing in this film is really-really cr*p. All of the fight scenes comprised irritating and repetitive 80's inspired video-game sound-effects, whilst most of the actors sounded like James Steward or Chartered Accountants. (4) Even though I wasn't very keen on the sound-effects deployed during the fight scenes, I have to admit, the fights in themselves were pretty good to watch. Plus I have to give kudos to both Dragon Lee and Carter Wong for putting on a very surprising spectacle, particularly when you consider that the rest of this piece wasn't all that good. (5) Nearing the end of this film, there was a scene in which Dragon Lee's 'girlfriend' delivers him an ultimatum after he loses his penultimate battle. Basically, she asks him to walks away from his final fight, just so they can live in relative harmony together somewhere else. Now for a couple of moments there, you could really feel Dragon Lee's anguish about what he should do next. And for me, this really propped up the whole picture a notch or two in the innovative stakes. Smashing. Really smashing. It's a shame that there wasn't more moments like this throughout. (6) Was that idiot with the bit of mud on his nose the comedic foil for this film? I think he was. But I just couldn't tell. Hey. Do you know what? While I'm in a bullet point mood, let's have some bullet-point filmic-facts. (1) Brazilian based distributors, 'Reserva Especial', first released this production in West Germany on the same day that the British actor, Benjamin Barnes, was born -- the 20th of August, 1981. 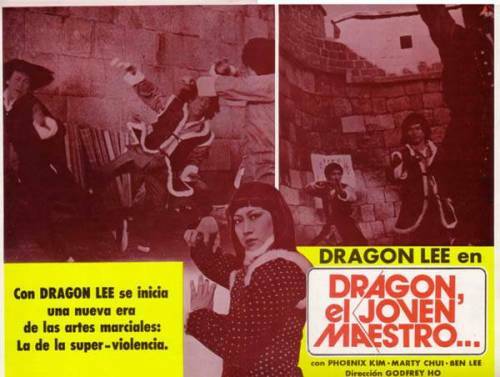 (2) Loosely translated, this project was entitled 'The Fury of Dragon Lee' in Brazil; 'On Behalf of the Dragon' in West Germany; and 'Ting Agency' in Korea. (3) The chap who directed this action-adventure, Godfrey Ho, was once known as the Ed Wood of his era, and has worked with Dragon Lee before in 'Enter Three Dragons'. (4) The Hong Kong production company that produced this film, 'IFD Films and Arts', sure loves producing films with the word 'ninja' in its title. During their lengthy existence, they've produced such films as 'Cobra Vs Ninja', 'Bionic Ninja', 'Golden Ninja Warrior', 'Ninja Hunt', 'Ninja Dragon', 'Ninja Protector', 'The Ninja Squad', 'The Ultimate Ninja', 'Ninja Terminator', 'Ninja Champion', and many-many more I care not to ninja. 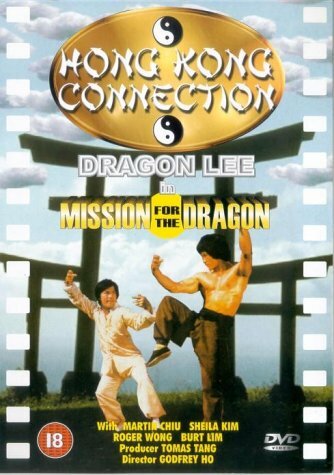 (5) Like the majority of the Korean martial arts movies made during this era, this flick was shot with no sound, and dubbed into Mandarin or Korean afterwards. 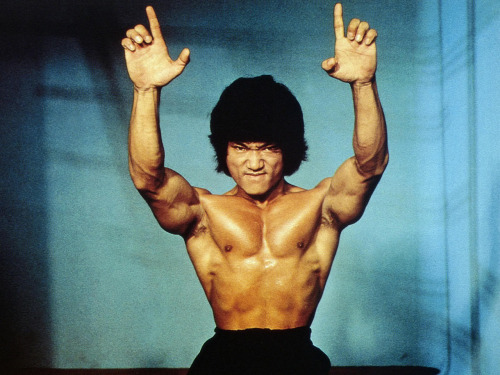 (6) Dragon Lee was born in the same year as Bruce Lee, John Lennon, Brian De Palma, and Al Pacino -- 1940. (7) Tomas Tang, who produced this movie, is the official owner of 'Filmark International Limited', and he passed away in a tragic fire that occurred sometime in 1996. (8) After this movie was made, Carter Wong starred in a film with Bruce Le called 'Cold Blooded Murderer'. However, before this movie was made, he starred in a film called 'Succubare', where he was the only male member of an all female cast. Lucky git. 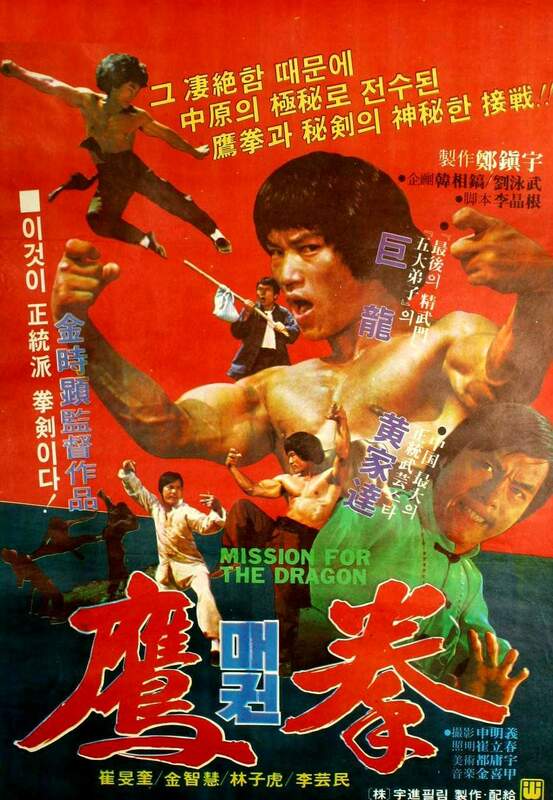 Overall 'Rage of the Dragon' was a pretty so-so film. It had some good bits in it. It had some irritating bits in it. And in my own opinion could have been a lot better if the story was clearer, and the execution didn't sound like space invaders.